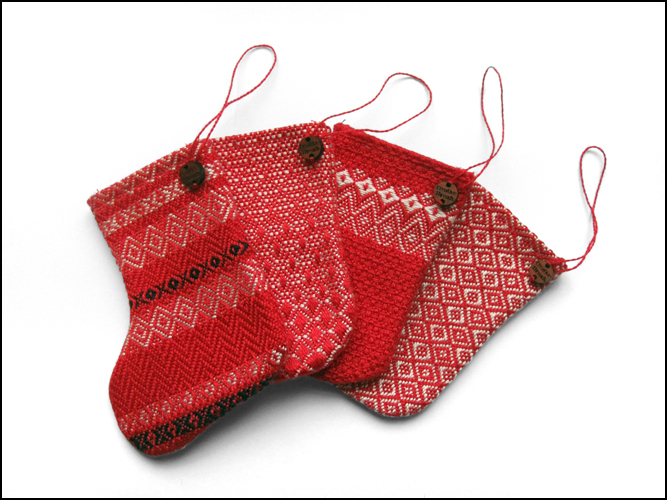 Leading up to christmas we often receive demand for woven christmas tree decorations, these are some of the stocking designs that we created. They are big enough for a couple of small chocolates so are also great fun to hunt for on the tree. With 24 of them they can be used as an advent calendar too to keep the excitement going all month.